This lens certainly isn't since it boasts huge 1,4 aperture. AF-S is way better than any previous 50mm 1,4 since the ergonomics have been updated - meaning you can override autofocus at any time since the focus ring never rotates like it does on previous lens. Optically it's also great and sharp (when used properly) but not really much different then other Nikons 50mm's (so they've been great all along). It's also quite light and small and it doesn't tear up your pocket when you carry it around like other pro zooms do. It has some distortion but it doesn't really matter since you dont shoot architecture with this lens and some chromatic aberration when it's wide open. 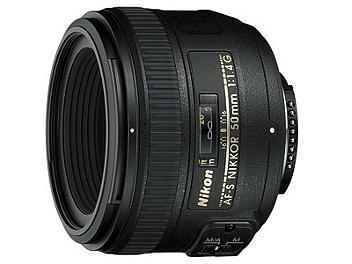 If I had to choose one lens, this would be it since it's the most versatile and operates in the most broad set of conditions, delivering great result.